A mountain bike is fashioned to ride in hilly places comfortably. In rough terrain or off-road, this bike is designed to increase the durability and perform better. It has more powerful break and high resistance suspension. If you want to take your expensive mountain bike near the hill places which are far away, you need a rack for your car. 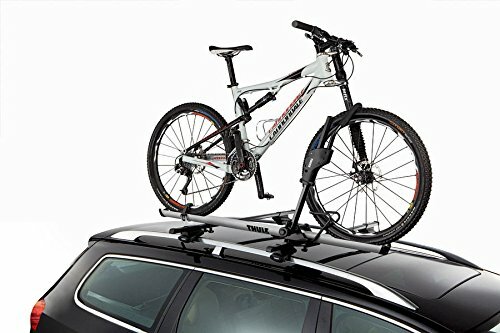 The MTB roof rack is very easy to bear on the top of your car. In this review, you can apparently know that which one is more suitable for you. So, let’s see! Metalhead and stainless steel body. Going through off the road with your car? And want to take the mountain bike too? RockyMount TieRod can assure your bike safety over your car’s roof. You will get most probable satisfaction by using this rack over your car. It is suited over Ford, Toyota, Lexus. Subaru etc.. It is one of the best roof racks for your car. Suitably fixed and have excellent stability. It has unique lock system to lock your bike. Coated with rubber so that your car gets zero damage. It has a user guide to install it over your car.The necessary tools for installing it are given in the box. You can install your rack by yourself. During driving on rough road or hilly places it will hold your bike tightly. Do not set your bike vertically. Check the installed rack once in a week. Remove your cycle from the rack while washing the car. This roof rack is user-friendly. It has elliptical shaped bars which are suitable for the mentioned cars above. Quick release the front wheel system. Secured lock system to lock your bike. And you can also lock the rack with the car. Can hold up to 2.7 inches bike tires. Have to remove those bike parts which can be detached from your bike. Not for very rough road. Weight of the rack is 6.1lbs. Dimensions 55 x 8.6 x 5.25 inch. It has secured hook lock. It holds up to 2.6 inches tires. 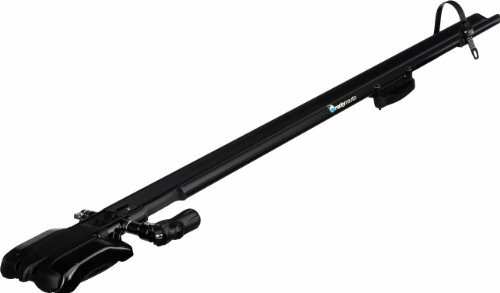 If you are looking for a sidearm bike rack then Thule Sidearm Universal Bike Mount is for you. It holds the bike from beside. You will be very joyous when you come to know that the side arm is adjustable. And you can put any size of bike easily. You need about 30 minutes and two people to install the rack. One to hold the parts and another to tighten the screws. It is also easy to use. You need not put off the front wheel for this. It has also lock security system. You can use the rack over your car in highway. Side arm helps to carry the bike without lifting the tires out. It works in round bars. Very steady and adjustable side arm. You can bear road bike, mountain bike and small cars in it. You have to buy the lock system separately. Dimensions are 34.3 x 9.9 x 2.9 inches . Now your bicycle will remain on your car’s roof. Whenever you want to ride your bike you can. Just take the bike down from the roof of your car and enjoy a ride. 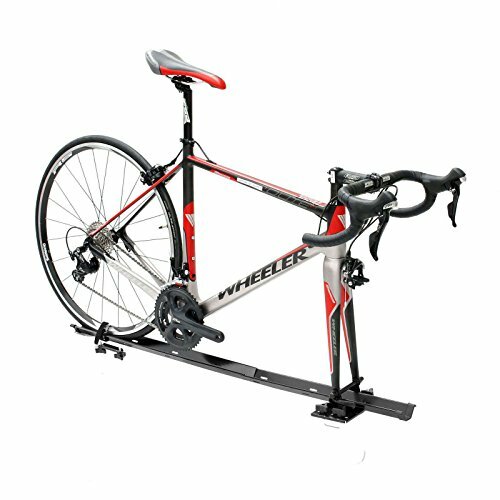 You can easily bear your road bike or mountain bike through Cyclingdeal 1 Bike Car Roof Rack Bicycle Rack. It has lock system to lock your bike on it. The rack will fit for all kind of bicycles. No need to take off the front wheel. The rack’s arm holds the middle shaft of the cycle. Now your journey will be more joyous with this rack. It has the lockable system. So, When you go through a rough road it will not slip down. No need to open up the front wheel. Fix for every bike. Every size of bikes are suitable in this rack. Excellent stability. It holds the bike very tightly. Only one year warranty. It may let you think about purchasing the rack. You can take only one bike by it. Dimensions are 56 x 7 x 7.5 inch. Can hold bikes up to 40lbs and minimum crossbar spread is 18 inch. Wheel diameter range is 20-29 inch and the tire width is up to 3 inch. Frame is made by carbon fiber. Looking for a fashionable roof rack for your bike? Here it is the Yakima Frontloader Bike Mount. Yakima company has specially designed this product which is fitted in your car bars smoothly. It is suitable in any shape of bar. It has easy lever system to hold the bike and release it comfortably. The rack has no contact with the frame. Especially you need to know that no need to use any tool to engage your bike. If you are going through mountain with your car and thinking of your bike safety then you should remain relaxed. Because the rack will protect your bike completely. It has two round arm to hold the front wheel perfectly. Easy installation process. It only takes 5 minutes to install. No tool is required for installing it. So, in that case, we can say “tool-free”. Very lightweight but have strong stability. Can use it in rough road. Only one bike can be placed. Extra tools are not required for the installation process. Skewer of 9mm grabs the front fork of your bike. Quick release facility is added. It is suited at anthe y shape of bars with maximum spread of 3 inch. Are you worried about your bike while driving through an off the road or very rough road? Thinking that your bike may fall down from the roof of your car? So then, no more bad thinking. 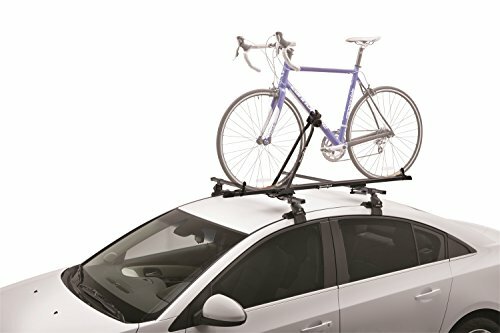 Swagman company has brought to you a unique roof rack for your bike. It has quick release front wheel system. Fits in round, square and special OEM bars of your cars. You have to lock the rear wheel with a plastic belt. You will need some bolts to hold the bike’s parts tightly. It is suitable in rough road driving. Your bike will remain safe with zero damage. Installation process is easy. It’s time to enjoy your ride by Swagman Standard Roof Rack. This rack is very stabled. Fits in the oval shape bars easily. Easy to place your bike. Very stable and can be used in the very rough road. Only one bike can be carried. Made by high quality material . Specially designed for any type of vehicle. Clamp onto a bike with 1-3 inch down tube. Suppose you are going to tour a mountain, where you cannot go to the inside part of the mountain with your cars because of wild roads. There is a solution. You can use your mountain bike but the problem is how you can carry the bike way to the mountain. By using Genuine Subaru E361SXA301 Roof Mounted Single Bike Attachment you can get rid of that problem. By fitting it on your car’s roof, you can easily carry the bike to a long way without any tension. It has lock system which helps to lock the bike strongly and securely. It can fit manually on the cars as our needs. We can easily maintain the length and width of it. Genuine Subaru E361SXA301 Roof Mounted can attach a single bike on a vehicle roof. Installation guide is given with it, so u can easily setup the product. 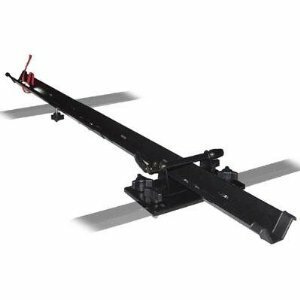 It has self adjusting jaws that provide strong frame hold. Not suitable for carbon fiber bike frames. For all wheel dimensions the rear wheel strap works. If you want to carry your racing machine or mountain bike harmlessly to the spot, you can try Rhino rack Road Warrior C Channel Fork Mount carrier. You have to remove front wheel of your bike then carry it out on your vehicles roof. It is made specifically for C Channel Crossbars, the mountains and designed to make your pre race condition as stress free as possible. The locking system adjust for different frames and works both disc and rim brakes. Installation guide will be given for easy setup. Strong rubber coated strap that cannot damage the wheel. Can’t load heavier than 35lbs. You can fit you cycle both the way, by removing or not removing the front wheel. It has a frame holder to secure the bike frame. It will fit aero & square shapes crossbar. It has a locking knob to secure the bike on to the frame holder. It will fit all size of cycles with 9mm front quick release fork. Steel powder coating & made by Taiwan. The cyclingdeal 1 bike carrier as simple as they come. It is ideal for shorter car, specially sedans. Most of the cyclist consider the issue whether the rack will fit with the style of bars on their car. There is a issue, the rack fits a range of crossbars in aero and square shapes. But top crossbar brand will fit cyclingdeal 1-bike carrier fork mount rack. Lightweight, no unnecessary extra weight is added with your bike’s weight. Fit for all size of bicycles. It is also very useful for kids bike. There is a problem of height clearance, setup will make your few extra inches higher. Maximum load is not suitable for tall bikes. As it carries 2 bikes at a time, it has to be more weight for extra material. Another car roof rack for your travel life made by Taiwan. It is fitted almost every crossbar. Alloy car roof bicycle carrier roof can carry 2 cycles at a time. Installation guide and accessories will be given with it. You can carry two bikes. You don’t have to remove front wheel as it has straps for locking the wheel. It has 4 straps for locking 4 wheels & 2 frame holder for holding two frames tightly. For installation process all accessories are included. So you can easily setup or uninstall the rack. 5 years warranty. 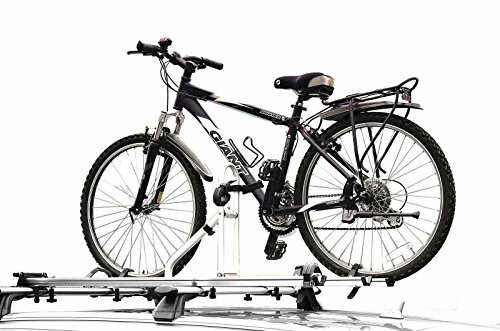 It is a decent warranty time for cycle carrier. We have to remove during automatic car wash. Weight is a little higher. After installation height is a major issue. Doesn’t suit all type of vehicles. This sportRack will let you carry single bike. Adjustable arm with clamps holds your bike by the rear tube. Locking hand knob system will tight your cycle with the rack. Sliding straps help to secure your tire to the rack & it can adjust with any type of -width of the tire. It attaches to most crossbars. SR4883 is made by steel construction with black powder coat. It has the universal system of mounting hardware that will fit around crossbars steadily. The adjustable arm has clamps with locking knob that helps to tighten or loosen the grip of your bicycle. SR3883 can carry one bike on the roof of your vehicle. Then you have to use the slide the straps which will adjust along the wheel to secure your front & back tire in place on the rack. It has the universal design and fit with most of the crossbars. You Can tighten or loosen the grip of the frame by the arm with a knob as your need. Sliding straps will adjust with any type of tire. Steel construction coating will make the rack long lasting. Weight is a little high. It may scratch your vehicles roof and cycle. 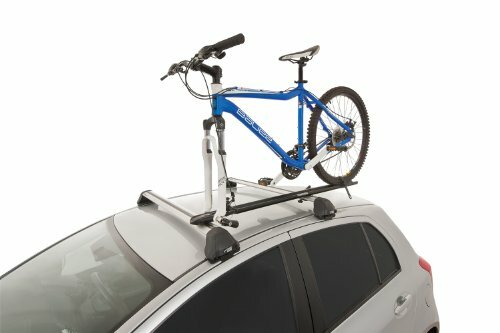 Thinking of buying quality mountain bike roof rack for car? Are you confused which one should you take? Have different questions and searching for the answers? Let me clear you about best MTB roof rack. I will discuss on various topics that you should know before buying Mountain bike rack for SUV. Each durable product has the condition to reform or repair it as you want. The products remain functional due to durability property. Fire resistance, dust resistance, thermal resistance, waterproof properties belong to the durability of a product. Before buying a roof rack for your car you should check the durability property of that rack. In that case you can look for stainless steel, rubber coated and less metallic rack. If it’s raining while you are driving and the bike is on your roof. Then no need to be worried if it is made of stainless steel. For choosing the best mountain bike rack for your car you need to check the stability of your rack. Whether it can hold your bike steadily or not. The rack’s arm should perfectly grab your bike’s body and if not your bike can fall down from the roof and may damage. It can cause accident. So, before buying the strength of the rack’s arm and the rack itself should be tested. On this perspective, you need to check the bolts and nuts whether it gently fixed or not. You are buying a roof rack for your car and don’t know about the rack’s capacity. You may buy a rack and meanwhile, you noticed that your bike’s tire is not placing correctly. Or you have just changed your bike and your old rack is of no use. I will suggest you think about your bike wheel size, your car’s roof bars shape, bike’s weight and your rack’s load capacity. By noticing all that things you will have the best mountain bike rack for you. Without proper maintenance your rack can go wild. It perhaps will not work as good as before. Check it once in month at least. Take care of it. Wash it if necessary. Look, a well-maintained product will never make you frustrated ever. So, care about your product. To set up the rack you need to know the installing process very clearly. Otherwise, you can’t maintain your rack properly. You must know the installing process very well. This is an important part that you should know before buying best mountain bike rack for your car. Different racks have their own way to install. First read the user guideline. Watch the YouTube videos if you want more clear idea about installing process. Know about the tools that are required for installing the carrier. The best buyer is he who buys his product by dint of product quality not the warranty. However, there is issue of the product warranty. I will definitely suggest you to buy your product by its benefits and according to your need. You can’t demand your roof rack as the best one until it fits perfectly on your car’s roof. So, don’t go with the warranty. Buy your product by your own choice which is suitable for your particular car. 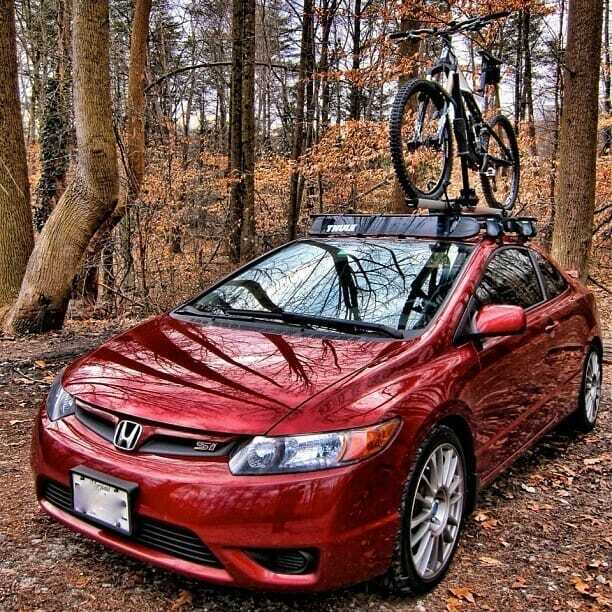 Think about overall benefits before buying the best mountain bike roof rack for your car. Don’t feel hesitate to choose the right one for you. You can buy one of them as I mentioned above Bike roof rack reviews for you. Keep relaxed and do not think about your bike while driving through rough road. So, Here you are. Hope you have decided which one you should buy. And I’m so hopeful that the review has helped you to choose your roof rack for holding your bike on your car. If you are still confused, then I am going to tell you that these are the best racks on the market. 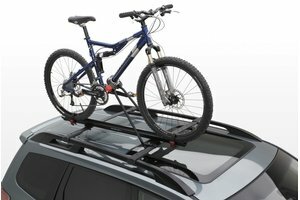 Get seated and go through the whole article about mtb roof rack. Happy Shopping.